If “Chrysalis” represents a reservoir of untapped potential for So Weird‘s main cast, then “The Muse” is So Weird‘s third-season effort to reconcile with its past ideas. 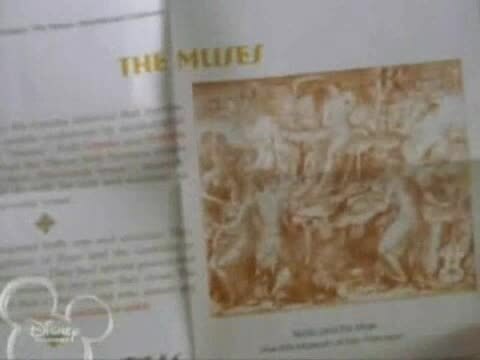 Nothing in “The Muse” is particularly groundbreaking in relation to where the show is located thematically at this point in the season, but it does its best to capitalize on some previously-lost potential. “The Muse” is certainly not afraid to wear its Buffy influence on its sleeve, either. 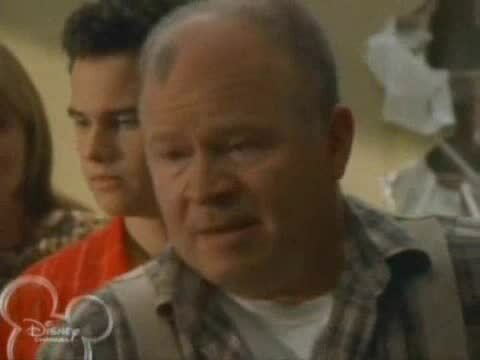 The episode takes the classic Greek myths about muses and transplants them to the modern day in the form of a handyman (played by veteran actor Stephen E. Miller) and Quinn Carter (played by Matt Johnson). This coincides with Molly returning to the place where she first met Rick in an effort to reignite her inspiration to play music. “She told me she felt the magic here for the first time eighteen years ago,” Irene explains to the teens, “and she’s hoping to find it again.” While Molly’s loss of inspiration comes out of the blue, the parallel story of Jack exploring his newfound interest in photography is grounded in a previous season three episode (“Snapshot”) and is sparked by an old photo of Molly and Rick performing for the first time. 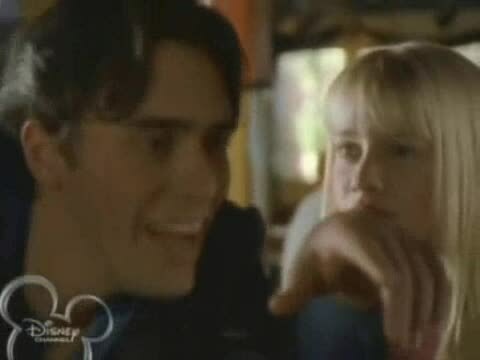 Molly and Jack get the lion’s share of character-building scenes in this episode, and it is to the show’s benefit that they do so, despite not being in the same mold as the proposed storylines of “Chrysalis.” Post-Fi does not have to mean post-Phillips, and “The Muse” begins to stumble towards a way of giving both remaining Phillips characters story arcs to traverse. It’s especially interesting how they remain rooted in So Weird‘s primary theme of dealing with loss: Jack speaks of the cool factor in being able to record a moment in history, while Molly’s loss of inspiration could perhaps be another offshoot of her character struggling to find her way without her daughter’s never-ending search for Rick. The downside is that, unlike “Chrysalis,” “The Muse” couldn’t find a way to be without its main character. Sidelining Annie’s character arc for a few episodes is fine—the panther doesn’t come up once in any of Annie’s conversations with “Quinn Carter: Have Inspiration, Will Travel”—but with a bird’s-eye view of the plot, it’s easy to see how Annie could have been removed from the story (and having Quinn’s scenes be either solo or with Jack and Molly) with minimal damage to the script. The humorous setpiece at the diner, for example, is a good way to demonstrate without doubt that Quinn is a muse and a bit of a show-off, but it doesn’t require Annie dropping exposition cues in dialogue in order for the scene to work. This episode would have been a prime moment for the writing team to try an Annie-less episode in the vein of “Avatar,” but opts instead to give her the boring job of dragging Quinn all over town, which minimizes her in a way that is damaging to her overall story arc. At the show, Molly dedicates her new song (a country-rock jam entirely different from anything else the show has shown Molly and her band performing) to “her muse.” Quinn thinks it’s about him, but Molly’s referring back to Rick, and to herself, and the earliest beginnings of their band and marriage, a connection solidified by the last physical appearance of Chris Gibson as Rick Phillips in the show. And so, just as quickly as the show opens up new plots for the Phillips family, it also closes the Rick door for good. “Well I’m thinking about tomorrow, and slamming the door on days gone by,” Molly sings, and she could just as easily be singing about the show’s fresh efforts to look forward to new plots instead of lingering on those that came before. But “The Muse” is so steeped in Molly and Jack’s heartfelt conversations that, more than a decade later, it’s impossible not to think about “Chrysalis” and the what-could-have-beens of So Weird. Like so many other episodes in season three, “The Muse” isn’t really a bad episode of television, but it is emblematic of the season’s inability to conquer the problems that arose from having to abandon its main story arc and start all over again. As the third act of the season begins, it’s harder to see the show achieving any kind of solid catharsis at the end of its long, winding tunnel of storytelling. Cameron White is a freelance writer currently residing in Arkansas. He writes about television over on his blog, Wayward Television, and tweets about codswallop and fiddlesticks. His obsession with television was founded in 1996 by The Disney Channel and fostered by his discovery of Firefly in the summer of 2007. He’s on Hecate’s no-fly list.